If you’ve been following my ramblings in recent months, it’s probably obvious that I’ve been spending an increasing proportion of my time with large cetaceans. 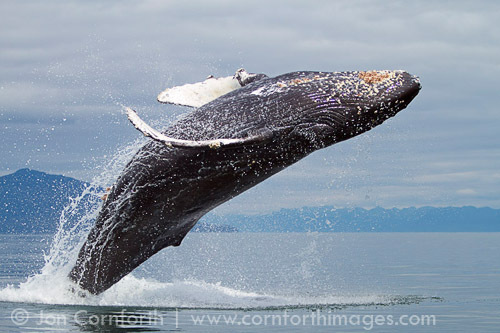 My schedule for next year is no exception, with 12 to 13 weeks or so planned for sitting on a boat staring at the ocean hoping something will show up whale photography. For those of you who are crazy enough to contemplate joining me on one of these adventures, I’ve set out basic trip descriptions below. If you read on, you’ll no doubt notice that many of the trips are already booked. This is because I keep a list of people who contact me in advance, and I do my best to get in touch with anyone who's expressed interest before announcing trips on my blog. I also send out an e-newsletter in advance of posting to this site. If you’d like to get a heads-up for future trips, please contact me via my contact form, or sign up for my trip newsletter. Please let me know if you’re interested, even if the itinerary you’re keen on is full, as I keep a wait list for each of the trips. Life happens sometimes, and people who’ve signed up end up needing to change their plans. This trip requires someone who is accustomed to less-than-ideal circumstances, can deal with frustration, and can accept the possibility of being totally and utterly skunked. To be a good fit for this adventure, you need to be very, very experienced in the water, be easy-going and cooperative, and have a stable, mature personality. 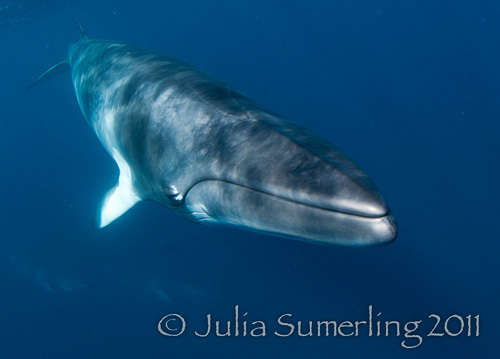 Minke whales have been on my to-do list for a long time. 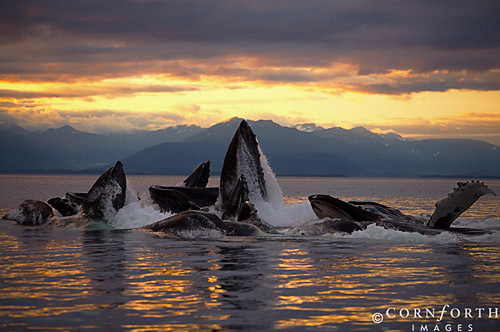 As far as baleen whales go, they’re relatively small, running six to ten metres in length. They’re inquisitive...as in, they’ll come right up to boats and people in the water given the right mood. They’re also reasonably easy to find...if you get the timing and location right. For these reasons, I’ve planned a trip Down Under to spend some quality time with the minkes that congregate at the Great Barrier Reef. We're heading over during absolute peak minke whale season. The plan is to get on a boat in Port Douglas on 28 June, cruise overnight to minke central and sit there until we leave on 6 July to head back. 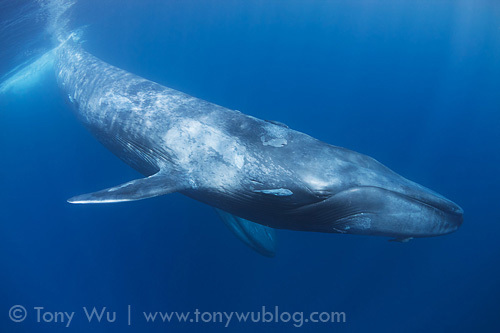 That’s eight full days with minkes, only minkes, and just minkes. 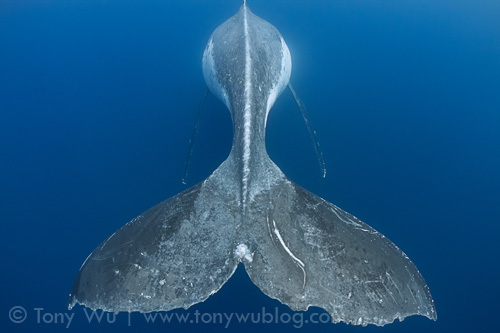 We’ll be in the Great Barrier Reef Marine Park, so we’ll be following the well-established guidelines for in-water interactions with the small cetaceans, letting the whales dictate the pace and proximity of interactions. I specifically picked the timing for this trip based on advice from my friends John Rumney, who is one of the leading authorities on minkes Down Under, and Julia Sumerling, who has many years of minke experience under her belt from working as the video/ photo pro on Mike Ball’s boat. To cut to the chase, our trip will be during peak, peak minke time. For whatever reason, the minkes show up like clockwork at this time, and more importantly, they demonstrate the greatest level of interest in people around this period. Incidentally, the minkes in this area are a subspecies known as dwarf minke whales, which were first described in 1986. From what I gather, there is still no population estimate for this subspecies, and no consensus on the taxonomy for minke whales in general. For more information about the dwarf minkes, please see the excellent summary prepared by the CRC Reef Research Centre (PDF file). 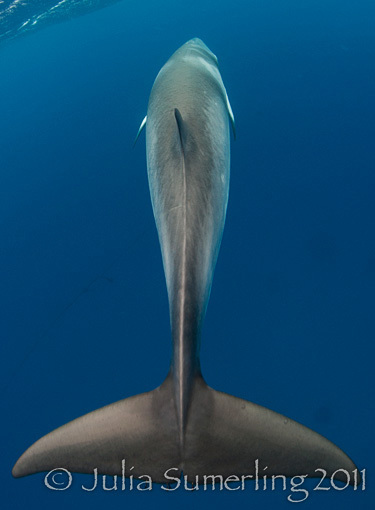 Minkes are inquisitive, and some will approach really close. This is the Megaptera Mania! trip I’m running with Jon Cornforth. I’m really excited about heading to Alaska for the first time. I’m not so keen on the fact that it’ll be colder than I normally like, but bubble-net feeding and dramatic, mountainous terrain in the background will hopefully make it worthwhile, and also worth a repeat visit in 2013. 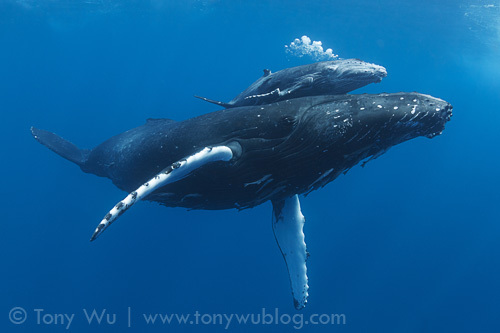 As soon as we wrap up in Alaska, I’ll be heading over to Tonga for my annual stay, and to continue my calf count project. 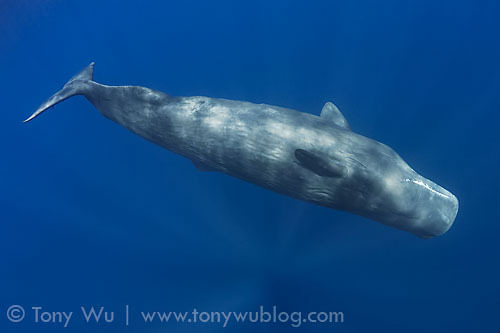 After the record number of baby whales I ID-ed this year, I can't wait to see what happens in 2012! Trip 1: 21 to 28 August. This is the second part of the Megaptera Mania! trip. Fully booked. Trip 2: 29 August to 06 September. Two spots available. Trip 3: 08 to 17 September. Fully booked. Trip 4: 25 September to 3 October. Four spots available.